Izakaya DoDomPa - 71 Clinton St. (@Rivington) - $1 Sapporo beers 5-7pm Tue. After a beer or two you can indulge in some authentic Japanese bar food without breaking the bank. Yakitori options include pork belly, chicken hearts, and chicken meatballs, each for only $3. Beware of the Thursday special: unlimited sake! Yes, for one hour you can have all-you-can-drink sake for $10. A very dangerous challenge. Try it. Vanessa's Dumpling House - 118A Eldridge St. (@ Broome) - $1 for 4 chive and pork fried dumplings. And that's not the only cheap option. You can basically have a feast for under $10. In fact, $10 will get you breakfast lunch and dinner, but I don't know how your digestive system responds to mass quantities of fried dough and pork. Try the duck sesame pancake, it's like duck-stuffed Chinese pizza! Always end the meal with an order of Shanghai bok choy to make yourself feel a tad less guilty about your dumpling binge moments earlier. Continental - 25 3rd Ave. (@ St Marks) - 5 shots of anything (just don't expect them to have Johnny Blue in their inventory) for $10 all day everyday. We are looking at $2 shots, people! During happy hour you are looking at drink prices ranging from $2-$4 and even after happy hour you are looking at $2-$6 per drink. I never leave this place in the right state of mind, and that's how it should be. If you are down for dive bars with a Budweiser decor and Star Wars playing on the projection screen, this would be the place for you. Did I mention there's a jukebox and never a cover charge? 508 Restaurant & Bar - 508 Greenwich St. (@ Canal) - $1 oysters at the bar all day everyday. 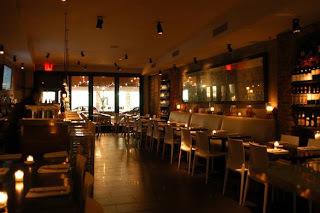 Okay, I've never been here, nor have I ever eaten an oyster, but I've heard great things about 508 and oysters. I've been meaning to go, and I might even experience my first oyster here one of these days. 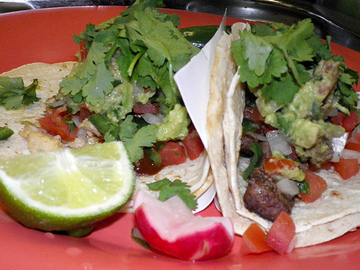 Hop Devil Grill - 129 St Marks Pl (@ Ave A) - $1 tacos all day on Tuesdays. 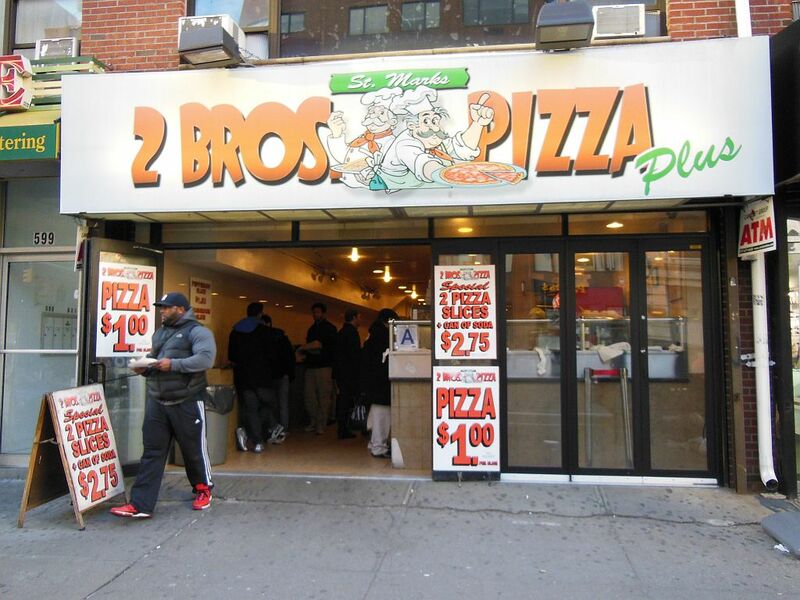 East Village always delivers a good deal, but come on! I know for a fact I can house a few tacos Man vs. Food style. So when you can find this kind of deal outside of Taco Bell, it's worth trying. The kicker? They truly 1-up Taco Bell by saving you that inevitable post-taco bathroom run. 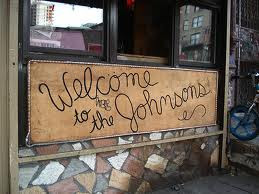 Welcome to the Johnson's - 123 Rivington (@ Essex) - $2 PBR. Wood paneled walls, plastic covers on the couches, I love a good theme. This is one of the deepest dives I've seen and it's refreshing! 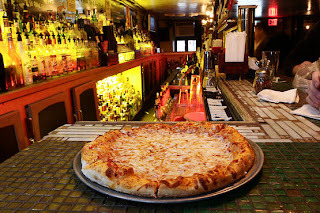 Crocodile Lounge - 325 E 14th St. (@ 2nd Ave)- FREE pizza with the purchase of a drink. Go for a pint of beer and you will receive the beloved ticket for your very own personal pizza made fresh out of the oven at the end of the bar. 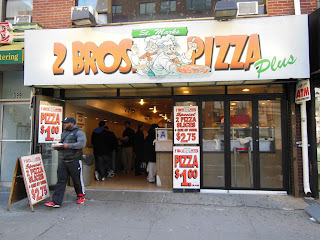 And I have to say, it's not bad pizza. 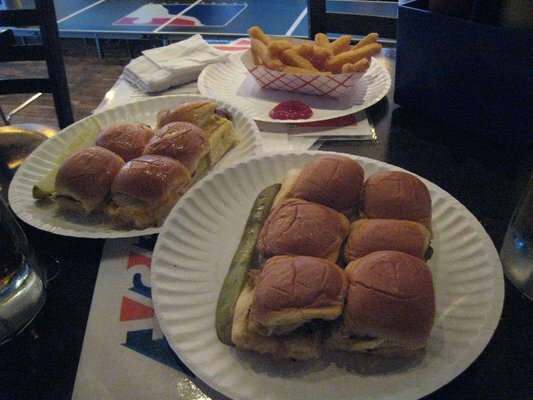 123 Burgers Shots Beers - 738 10th Ave (@ 50th St.) - $1 burgers, $2 shots, $3 beers. Except maybe skip the shots unless you like paying $2 for an ounce of sour juice called something like "Do Me Again". I am a purist, no mixing for me, I go for the beer! This Hell's Kitchen joint may be a bit college but sometimes life just calls for some sliders and a table keg of beer.